People were well prepared, thoughtful, and passionate with their comments and questions. 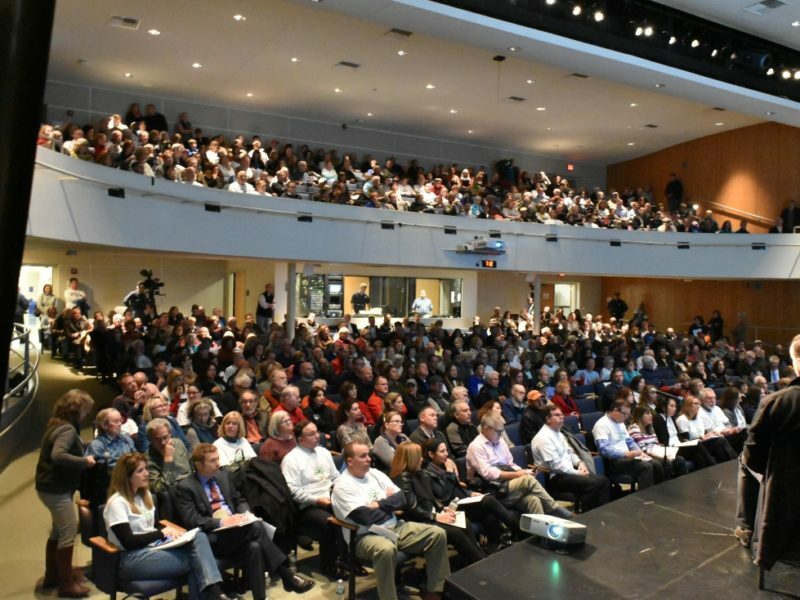 The meeting attracted press attention in the Boston Globe (here) and MetroWest Daily News (here). We voiced our concerns, expressed incredulity at Eversource’s plan, called out their disingenuous presentation of the “facts,” showed that we understood that the premise of need for this project was fundamentally flawed, pointed out their skewed route rating system and more. There was nowhere for them to hide. 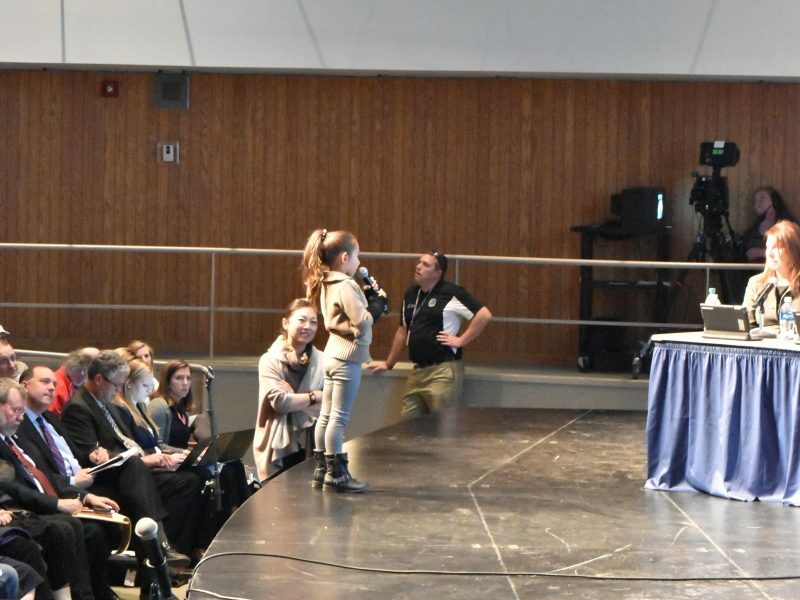 The board of selectmen came out squarely in opposition to the plan and spoke forcefully about the devastating community and environmental impact of the proposal. But that was just the end of the first act of this drama, and make no mistake, there’s plenty to come. Eversource is very unlikely to lick its wounds and decide to go home. Our opposition was profound and complete, yet it would be dangerous to think we won. Nothing could be further from the truth. 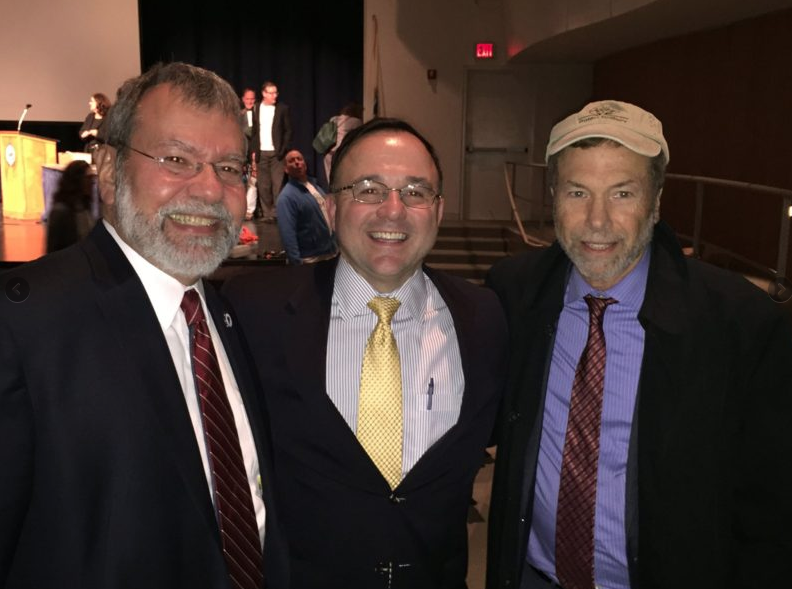 We had a win in the court of public opinion; we made our case stronger when we talk to our legislators and other officials who can give us support, but Eversource still holds the cards. We must assume that nothing’s changed and that Eversource will submit their proposal to the Energy Facilities Siting Board. The real work starts now. The court of public opinion continues and we’re on a roll, so let’s capitalize on that. Visit our letter writing campaign page regularly to update yourself on who we’re targeting specifically. We already have a lot of support from our local and state officials, and by all means, thank them. We now need to educate other officials who wield influence in the regulatory system that will determine whether Eversource’s submission to the EFSB gets a rubber stamp. We fundamentally challenge Eversource’s claim that this project meets a reliability need (read more about problems with that claim on pages 1 and 2 of Protect Sudbury’s Eversource Presentation Translation Guide). The bottom line is that this project is NOT necessary to solve today’s energy needs. It is also deeply flawed in terms of community and environmental impact, and therefore needs to be either rejected altogether or sent back to ISO-NE for re-evaluation. Spread the word. 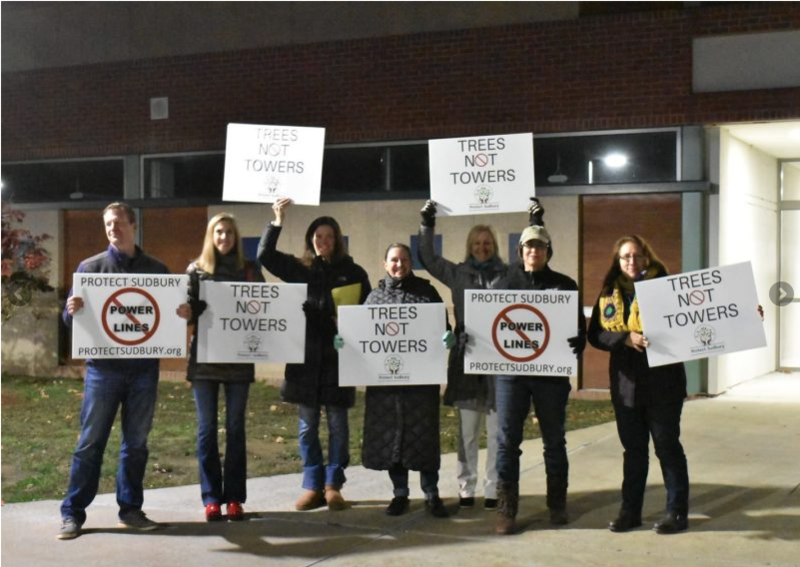 Tell your friends about your experience at the Oct. 26th meeting if you were there and tell them to check out Protect Sudbury’s website for much more information. There are still people unaware of this project. Share Protect Sudbury’s outreach video for those who need to get up to speed on what the project means for our community. Join the Facebook page, follow us on Twitter and Instagram for updates and to engage with the Protect Sudbury community and when you’re looking for more detailed information, revisit the website, particularly the Get Involved, Learn More, News, and Blog pages. Other materials that may be helpful are listed at the end of this blog. Siting of utility infrastructure is a strict legal process. If you don’t follow the procedures correctly, you can’t have a place at the table. That’s why we’ve engaged Attorney Richard Kanoff who has deep experience in utility regulatory policy and siting. We don’t ask for donations lightly, but the reality is that the only way to stop Eversource is through legal action. Protect Sudbury is an amazing community of volunteers and we’re thankful for what we’ve been able to achieve through individual efforts and donations of time and resources. The time has come where we’re moving very firmly from the court of public opinion where we can shout for free from the rooftops to the court of law. Only a formal intervenor with the EFSB, with the price tag that comes with that, can open the door to further action. Sudbury Fights Power Lines, 1960-1967, History repeating itself 55 years later? We have fought this fight once, and won it. We can do so again. Watch a video presentation on the subject to learn even more.